David Berger is dean and Ruth and I. Lewis Gordon Professor of Jewish History at the Bernard Revel Graduate School of Jewish Studies of Yeshiva University. For many years he was Broeklundian Professor of History at Brooklyn College and the Graduate Center of the City University of New York. He was also President of the Association for Jewish Studies, co-chair of the academic advisory committee of the National Foundation for Jewish Culture and has served as a member of the academic committee of the Rothschild Foundation Europe and of the executive committee of the American Academy for Jewish Research, where he is a fellow. He serves on the council of the World Union of Jewish Studies and the editorial board of Tradition. Dean Berger is the author of “The Jewish-Christian Debate in the High Middle Ages,” which was awarded the John Nicholas Brown Prize by the Medieval Academy of America, and co-author of “Judaism’s Encounter with Other Cultures: Rejection or Integration?” a finalist for the Jewish Book Award in Jewish Thought. His book, “The Rebbe, the Messiah, and the Scandal of Orthodox Indifference,” received the 2003 Samuel Belkin Literary Award. 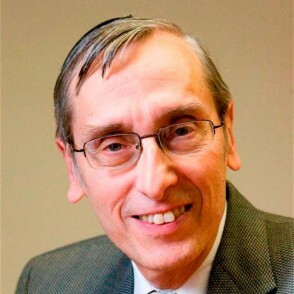 He has written numerous articles on medieval Jewish history, Jewish-Christian relations, anti-Semitism, contemporary Judaism and the intellectual history of the Jews. Dean Berger has been a fellow of the Annenberg Research Institute, a visiting scholar at the Institute for Advanced Studies in Jerusalem and a visiting professor at Yale and Harvard universities.